Orange County's Source for All of Your Construction Needs! Quality, price, and speed are three major factors within construction. Optima Construction delivers each of these three points while creating a fun and friendly environment. Starting with the pre-construction phase, Optima Construction utilizes the top industry commodities that will best suit our clients' needs and wants. From design to material selection and through to installation, our customers wants and needs are always met. With over two decades of residential and commercial experience, Optima Construction has a well-built and professional team. Being able to pre-pinpoint job delays and errors on the front end, Optima Construction is able to beat common project timelines and expectations. Striving for perfection and assuring work is done right the first time, we leave our projects and clients with the best ending results. 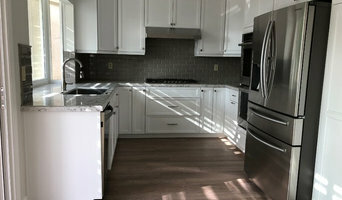 Inner City Skyline is a fully licensed and insured general contractor. Our 20 year plus experience and excellent reputation in providing exceptional service keep us competitive, affordable, and professional. Our reputation and vast history of references can help homeowners make informed decisions on choosing us for your project. Our professional service and integrity for the art of remodeling keep us satisfying all new customers and existing referrals. Call for details, and our legendary Free Estimate. With years of experience and a long record of satisfied customers, we can provide solutions to even the most difficult situations. We strive to make your new project the very best it can be and above your expectations. Relax...you found us. HQ Remodeling & Design is a family business that goes two generations back when our grandfather opened a lighting shop which went on to become electricity contractor. Our dad took the business towards different types of construction and became a general contractor. Our dad took the business towards different types of construction and became a general contractor. In recent years, the real estate and housing prices went up, and we saw the need for remodeling old houses and making their owners feel like they have a new house with an affordable and smart investment. We know that your house is your most important investment (after your family). We care about each hard-earned dollar you spend on your house. That is why we ensure that you get the most value for what you are paying for. 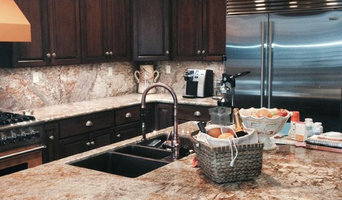 Our specialty is to fit your dream remodeling into your budget and we assure you peace of mind during all the process. We are very proud of the fact that 68% of our business is based on returning customers. Through excellent service delivery, we will make sure that you keep doing business with our company. With us, your satisfaction is guaranteed. Up to 35% off for Houzzers! With Kirkland Construction Services Inc., experience is the key. We pride ourselves on our design, quality of workmanship and outstanding record of bringing jobs in on time and budget. We are a residential remodel specialist involved in the design-build construction of projects built with the highest level of detail and quality. We get involved in projects early during the conceptual stage, offer our design-build assistance and provide a cost proposal detailing the scope of work to be constructed. We line item allowance items such as the cost of plumbing fixtures, granite, tile and cabinets so you will know how much is budgeted. We do not charge markup for overruns on allowance items – the cost of the material, plus sales tax is all you pay. We plan each project in advance to keep the construction project duration to a minimum. The construction is not complete until the final details are complete and the final payment is made. Project completion – on time and on budget! Our vision is simple: Make your home what YOU want it to be and build it with the quality and workmanship you expect of your home. S O D Builders Inc. is a full-service construction and general remodeling company which provides a wide range of contracting and renovation solutions for residential, commercial and industrial projects. We provide the critical service of helping homeowners and business owners with the expertise needed to build, add to, and maintain their homes and business facilities. Estimates are free of charge. On each project, we visit the site to learn your specific needs and review the existing conditions. We then produce basic drawings as required for our use in preparing a bid. Our computerized estimates sheets are then completed based on the scope of the project and a written proposal is presented to the client. The duration of a project depends on the scope of work and the lead times for various project materials to arrive. Often we schedule the start of project based on the arrival of major long lead time items. Our Clients are given detailed schedules on all major projects and are constantly updated during the project. We take pride in the quality of our work, and the willingness to perform even the most menial tasks to remove project obstacles and get the job done. If you agree that well-managed projects should exceed customers’ expectations in terms of quality and service, we should talk. 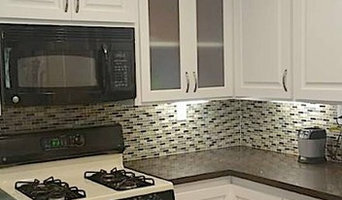 Elite Kitchen and Bathroom, Inc.
Gettler Construction is an Orange County based residential home builder and remodeler that specializes in room additions. Our design-to-build process makes life easy for the home owner and leaves little room for miscommunication come time for construction. Quality, respectfulness, responsiveness, cleanliness and value make up some of our core philosophies. At Gettler Construction, we vow to respect your home and treat it as we would our own. General, or construction contractors, are often known as project managers. They oversee the entire remodeling or new home construction project and facilitate all day-to-day tasks that move it toward completion. A Huntington Beach general building contractor will work with your architect to review plan as you build a house and ensure everything is in place before work is started as well as arrange for permits and necessary inspections. While good local home improvement contractors in Huntington Beach will have the skills to handle certain tasks onsite, such as carpentry, he or she is also responsible for hiring subcontractors for the majority of jobs, such as electrical work, painting or plumbing. In addition, the general contractor should be on-site regularly to inspect the progress and resolve issues. Here are some related professionals and vendors to complement the work of general contractors: Architects & Building Designers, Interior Designers & Decorators, Landscape Architects & Landscape Designers, Kitchen & Bath Designers, Specialty Contractors. Home remodeling contractors are a must for successful completion of a renovation. Because of this, it's essential that you do your homework before deciding on the right general contractor in Huntington Beach as you remodel or build a house. Inspect bids carefully. Was it ready when the contractor promised it? Was the bid for building a home unusually high or low? Each of these things can be very telling: A late bid may reflect timing standards, and an off-the-mark bid could be code for a pricey premium or a deliberate underbid to score the remodeling job. You should call references, carefully read reviews and visit completed projects in Huntington Beach, CA to see if they’re what you expect for your job. Once you do secure your local Huntington Beach contractors, read the contract very carefully to be sure everyone is on the same page. 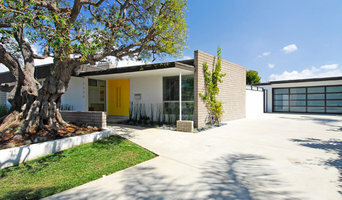 Find a Huntington Beach contractor on Houzz. Narrow your search in the Professionals section of the website to Huntington Beach, CA home contractors. You can also search for photos in Huntington Beach, CA and contact the Huntington Beach general contractor who worked on the project.